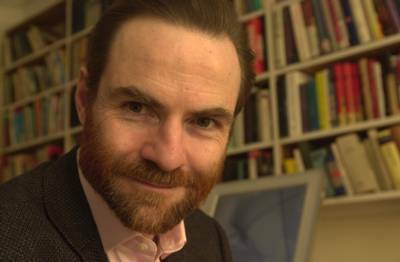 Timothy Garton Ash is the author of eight books of political writing or ‘history of the present’ which have charted the transformation of Europe over the last quarter-century. He is Professor of European Studies in the University of Oxford, Isaiah Berlin Professorial Fellow at St Antony’s College, Oxford, and a Senior Fellow at the Hoover Institution, Stanford University. His essays appear regularly in the New York Review of Books and he writes a weekly column in the Guardian which is widely syndicated in Europe, Asia and the Americas. His books are: ‘Und willst Du nicht mein Bruder sein …’ Die DDR heute (1981), a book published in West Germany about what was then still East Germany; The Polish Revolution: Solidarity (1983), which won the Somerset Maugham Award; The Uses of Adversity: Essays on the Fate of Central Europe (1989), for which he was awarded the Prix Européen de l’Essai; We the People: The Revolution of ’89 witnessed in Warsaw, Budapest, Berlin and Prague (1990; US Edition: The Magic Lantern), which was translated into fifteen languages; In Europe’s Name: Germany and the Divided Continent (1993), named Political Book of the Year in Germany; The File: A Personal History (1997), which has so far appeared in sixteen languages; and History of the Present: Essays, Sketches and Despatches from Europe in the 1990s (2000). His latest book, Free World, was originally published by Penguin in 2004, and has since appeared in a number of languages. See www.timothygartonash.com for full details. After reading Modern History at Oxford, his research into the German resistance to Hitler took him to Berlin, where he lived, in both the western and eastern halves of the divided city, for several years. From there, he started to travel widely behind the iron curtain. Throughout the nineteen eighties, he reported and analysed the emancipation of Central Europe from communism in contributions to the New York Review of Books, the Independent, the Times and the Spectator. He was Foreign Editor of the Spectator, editorial writer on Central European affairs for the London Times, and a columnist on foreign affairs in the Independent. In 1986-87 he was a Fellow at the Woodrow Wilson International Center for Scholars in Washington DC. Since 1990, he has been a Fellow of St Antony’s College, Oxford, where he is Gerd Bucerius Senior Research Fellow in Contemporary History. He became a Senior Fellow of the Hoover Institution, Stanford University, in 2000. A frequent lecturer, he is a Fellow of the Royal Society of Literature, the Royal Historical Society and the Royal Society of Arts and a Corresponding Fellow of the Berlin-Brandenburg Academy of Sciences. He continues to travel extensively, and remains a regular contributor to the New York Review of Books and other journals. His weekly column in the Guardian is syndicated in leading newspapers across Europe, Asia and the Americas. He also contributes to the New York Times, the Washington Post and the Wall Street Journal. His honours include the David Watt Memorial Prize, Commentator of the Year in the ‘What the Papers Say’ annual awards for 1989, the Premio Napoli, the Imre Nagy Memorial Plaque, the Hoffmann von Fallersleben Prize for political writing, the Order of Merit from Germany, Poland and the Czech Republic, and the British CMG. In 2005, he featured in a list of 100 top global public intellectuals chosen by the journals Prospect and Foreign Policy, and in Time magazine's list of the world's 100 most influential people. In 2006, he was awarded the George Orwell Prize for political writing. He and his wife Danuta live mainly in Oxford, though also in Stanford and airplanes. They have two sons, Thomas and Alec.